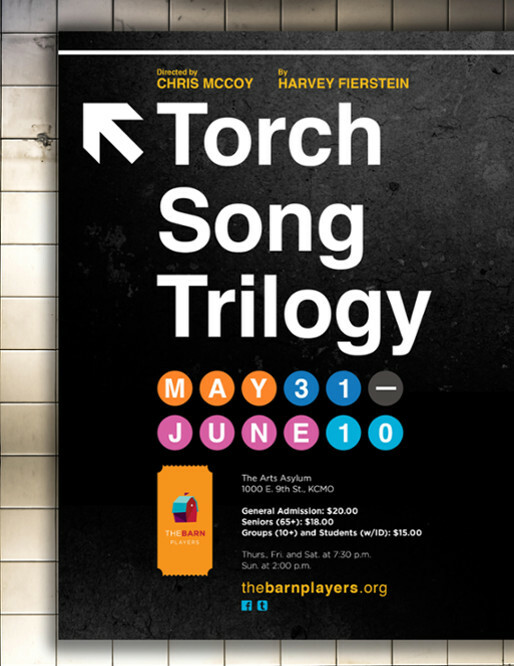 Torch Song Trilogy is constructed of three moving plays told over three acts: International Stud, Fugue in a Nursery, and Widows and Children First! The life of Arnold Beckoff, a torch song-singing, Jewish drag queen living in New York City is dramatized over the span of the late 1970s and 1980s, through Stonewall, the AIDS crisis, and other ground-breaking milestones for the LGBT community. Told with a likable, human voice, Arnold struggles through love, disease, and the challenges of child-rearing. In the tradition of The Normal Heart and The Pride, and one of the pre-cursors for the seminal Angels in America, this award-winning and popular work broke new ground in the theatre: "At the height of the post-Stonewall clone era, Harvey challenged both gay and straight audiences to champion an effeminate gay man's longings for love and family."